£50.00 Deposit to hold the date and as a breakage fee,the deposit is payable on top of the holiday cost. The deposit is returned to you after your holiday finishes once the caravan passes inspection for any damage or breakages. The deposit will be retained to cover any breakages/damage to the caravan or contents during your stay. WE MAY BE ABLE TO APPLY A DISCOUNT TO ANY GROUP BOOKINGS OR STAYS OF 7 DAYS OR MORE, PLEASE KINDLY ENQUIRE WITH YOUR DESIRED DATES. Your holiday must be paid in full three weeks before the start of your holiday. WE APPLY A DISCOUNT TO ANY BOOKINGS OF 7 DAYS OR MORE, PLEASE KINDLY ENQUIRE WITH YOUR DESIRED DATES. 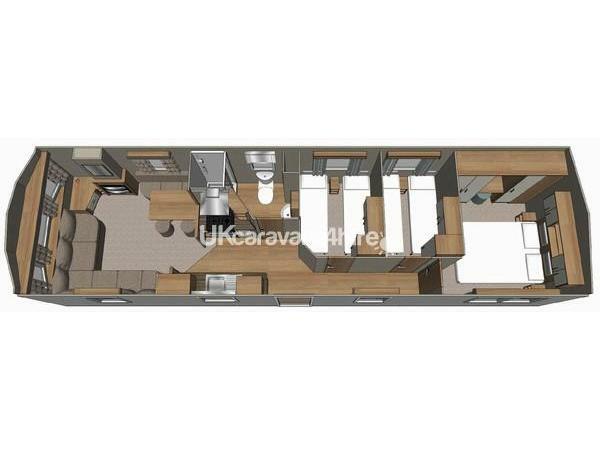 Our caravan accommodates up to 8 people, with a double bedroom, 2 further bedrooms with two single beds in each, which can also be moved together to make into doubles as well as a double fold - out in the living room. Dogs are also welcome for a small charge to cover the cleaning cost. Located in the Seaside village of Selsey, just 80 minutes from London, our caravan is sited on West Sands, just a short walk from the main complex down a quiet cul de sac with its own private parking bay just out front. 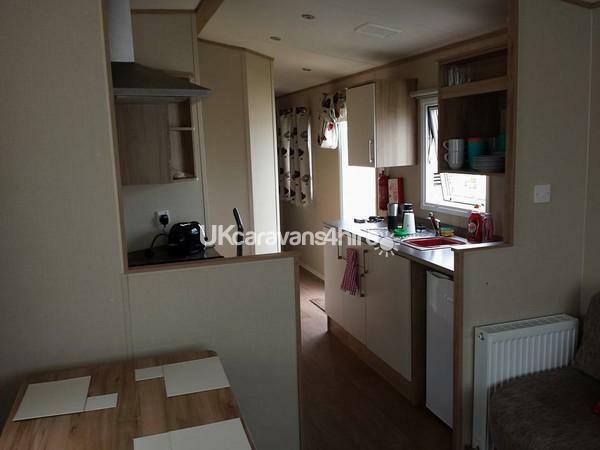 The kitchen has a fridge - freezer, gas oven - grill, microwave, toaster, kettle and all utensils. We also provide an iron, ironing board and a clothes dryer. The bathroom has a toilet, sink and power shower. 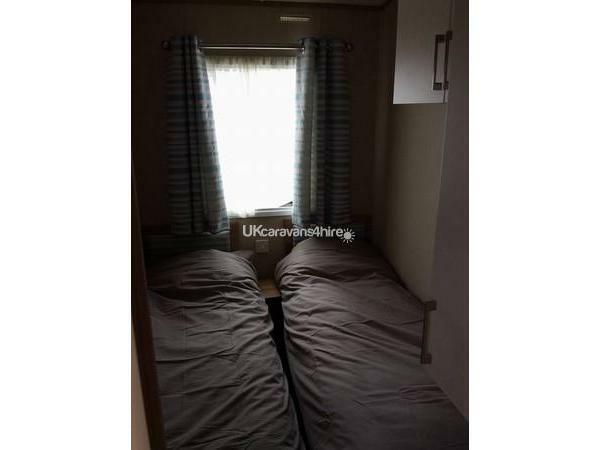 The caravan is available to rent Fri - Fri, Fri - Mon or Mon to Fri.
To book the caravan the deposit is £50.00, to hold the date and as a breakage insurance. 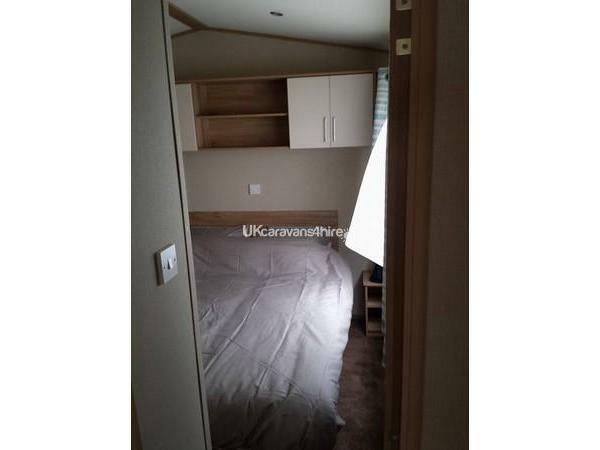 The deposit will be returned to you one week after your holiday finishes after the caravan and contents have passed inspection. The deposit will be retained to cover any repairs to any breakages or damage that have occurred during your stay. On site there is plenty to do, with a fun fair, swimming pools, go karts, crazy golf, a private mile long beach as well as a nature reserve, dog walking area, play areas and plenty of places to eat and drink. There are plenty of activities through the Holiday Parks entertainment clubs on site with kids clubs and live entertainment in the evenings (some activities require entertainment passes which are available to purchase separately through the Holiday Park upon arrival). 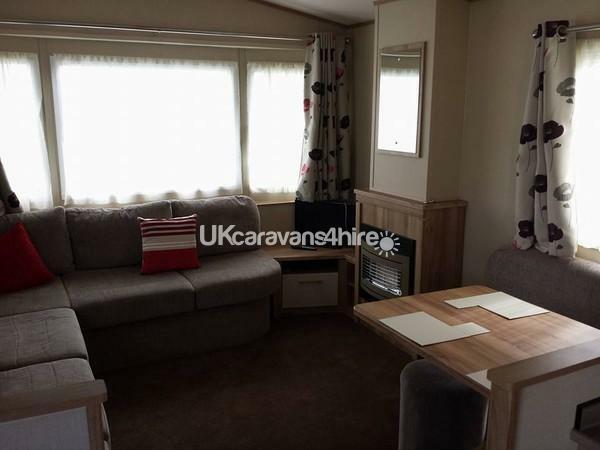 The caravan has everything you need, like home from home, great location, really well cleaned and presented and the owner was extremely helpful, making the booking process very easy. We had a lovely stay in this caravan. It was very clean and had everything we needed. Situated in a lovely quiet cul de sac, away from main complex, so no late night disturbance. Very easy booking and payment process. The owner very helpful. Would definitely recommend to friends and family. My wife and I were looking for a few days away before the Christmas chaos started. As this accommodation welcomed dogs, We were very happy to go ahead with booking, which the owner made very easy for me. It’s rare to find somewhere that allows pets and we were very grateful, as we didn’t have to find kennels or a dog sitter which would have added to our expense. The accommodation is lovely, good heating which made it perfectly warm, (essential in November). Great shower. There is even a dog walking area, where the dogs could be let off their leads, which they loved. Will definitely be booking again. 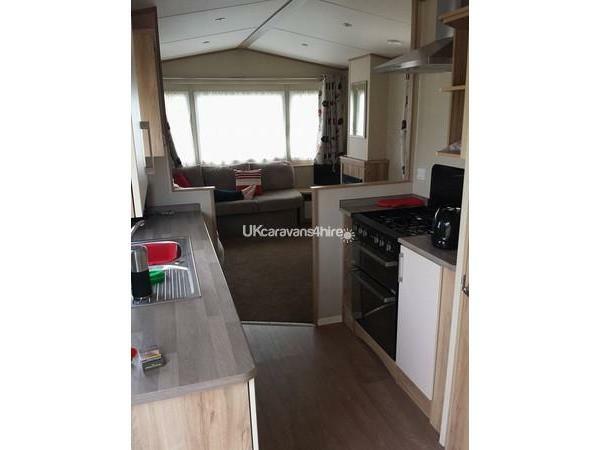 we stayed in this lovely caravan for 5 days it is exactly what is advertised and more, Gary the owner is a lovely man who was every bit helpful and nothing was a problem with him. The location of the caravan was great not to much of a walk. The kids loved it here so much for them to do day and night would highly recommend to stay in this caravan and bunn leisure west sands no matter what age group.